Traditional Chinese Knots and the symbol of infinity inspire my collection. 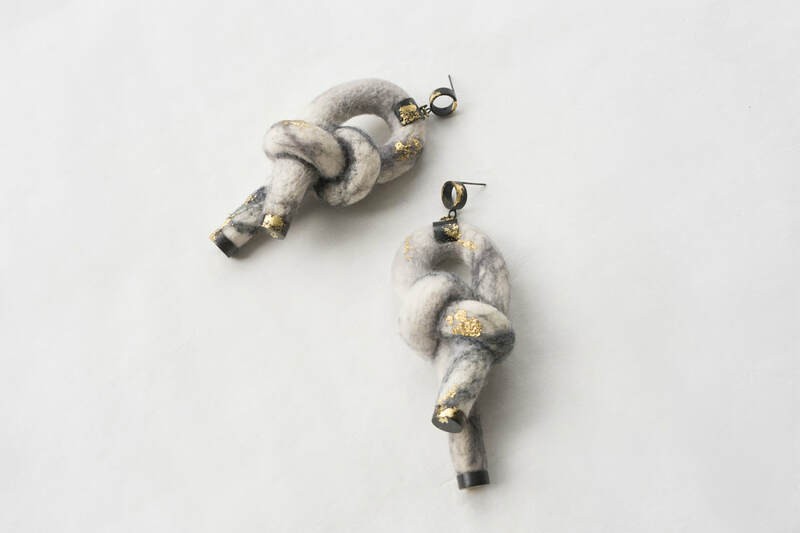 Chinese knots are rich in symbolic meaning. In ancient time and even now, knots symbolise connection, love and bond between people. 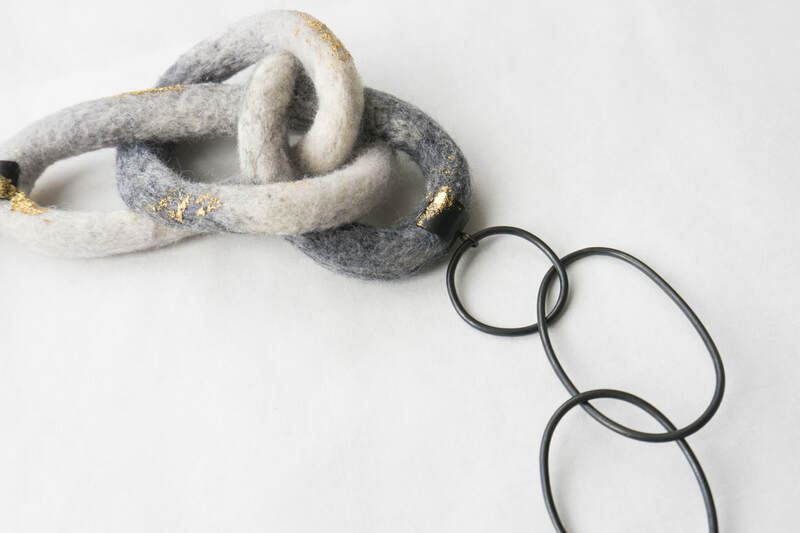 This connotation can also be seen in Chinese words, such as the word ‘rope’ is pronounced ‘sheng’ and it sounds similar to the words for spirit, divine and life. 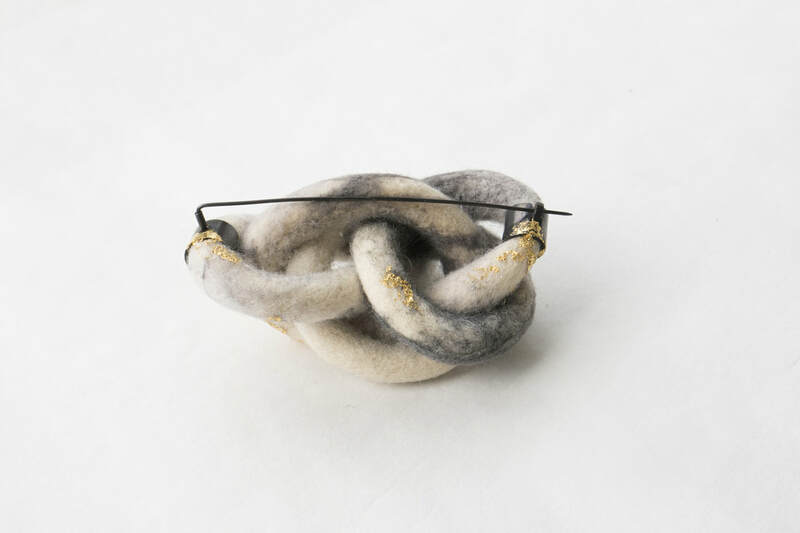 Knots had a spiritual meaning and were used for worship. The word ‘knot’ itself is ‘jie’ and it means ‘unite’,’result’ or ‘outcome’. 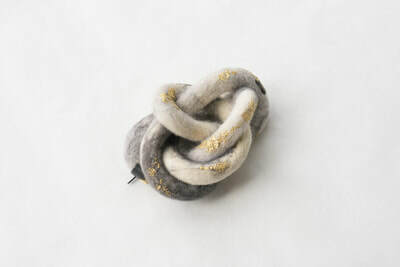 A knot given to a couple also symbolise a forever bond between them and a wish for the relationship. 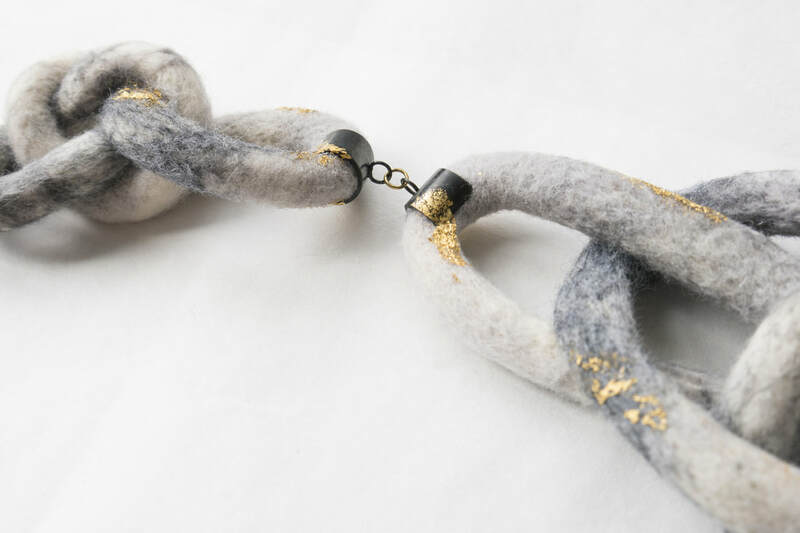 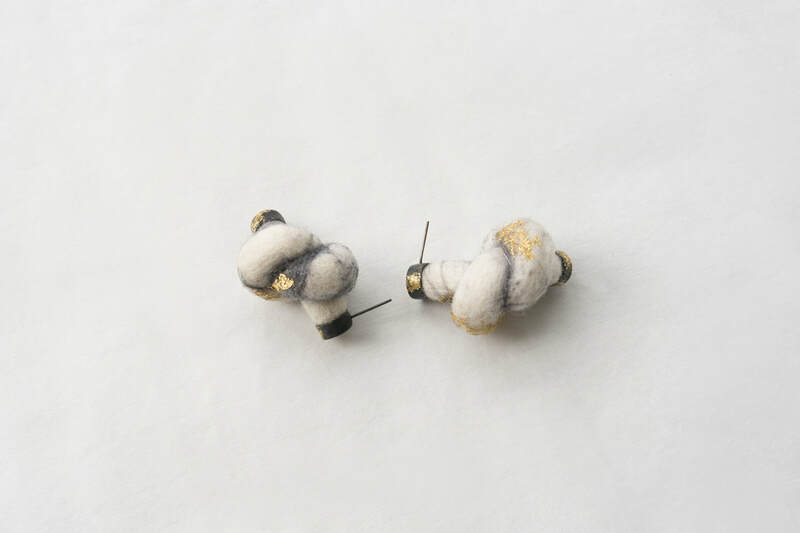 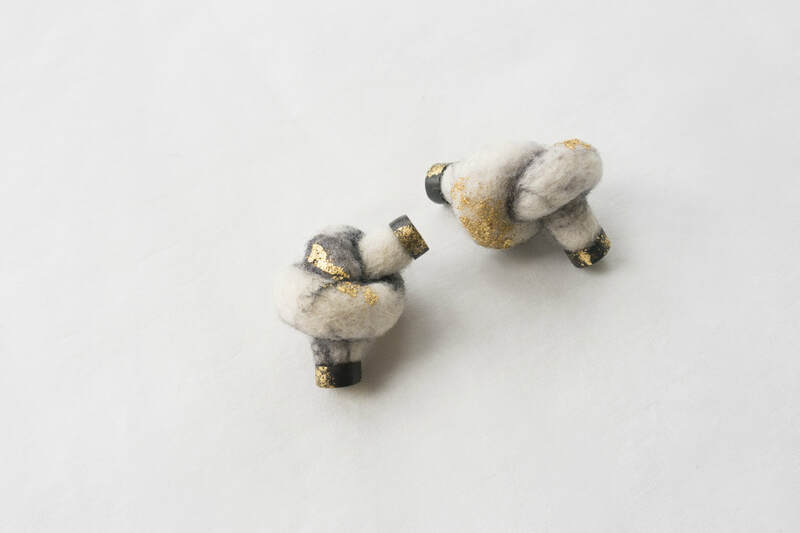 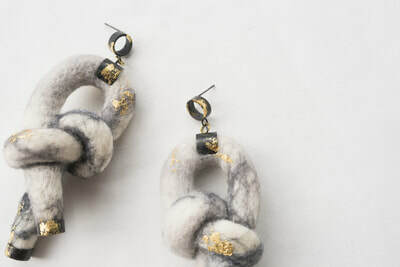 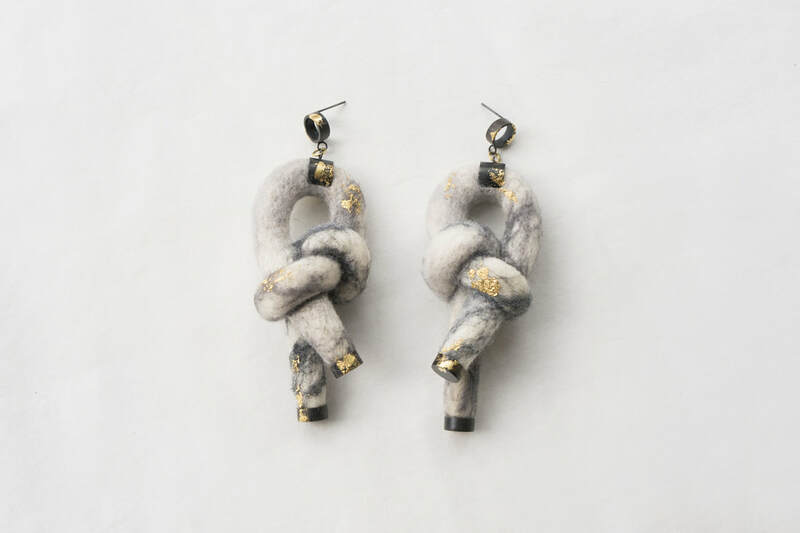 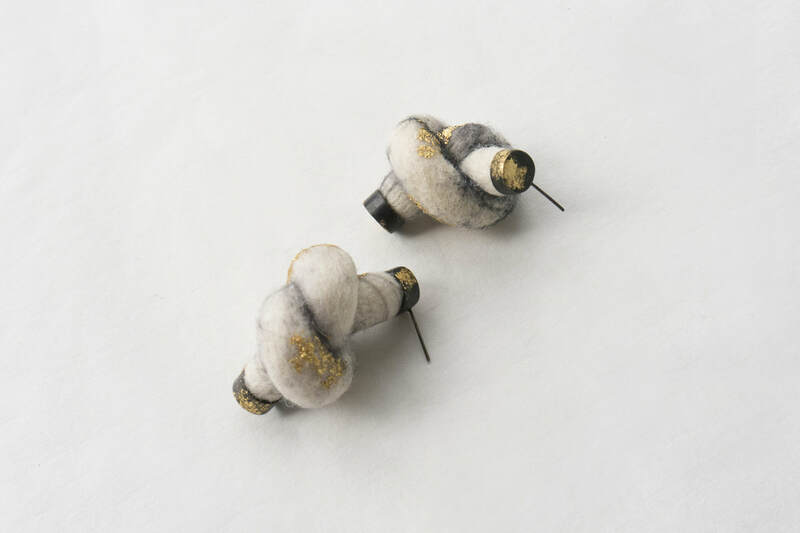 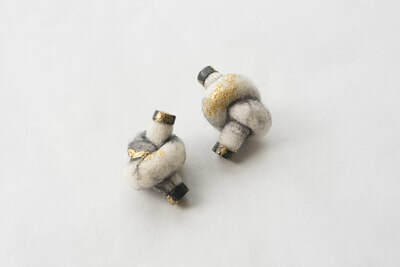 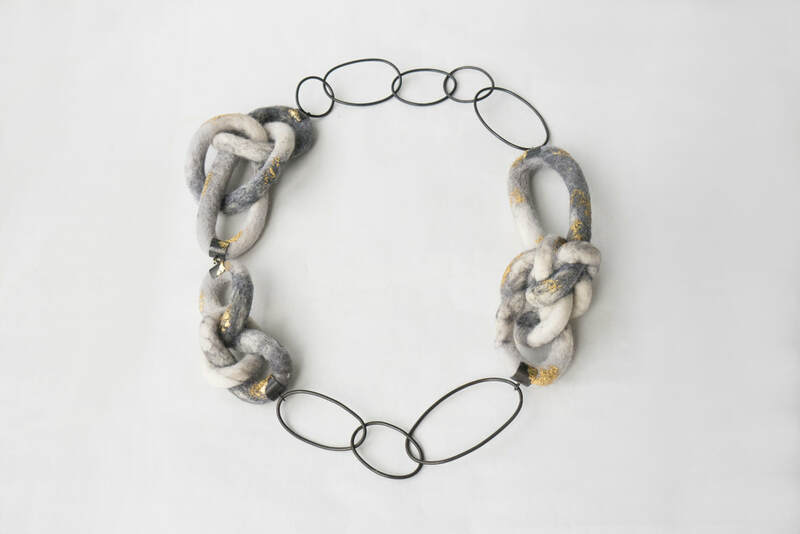 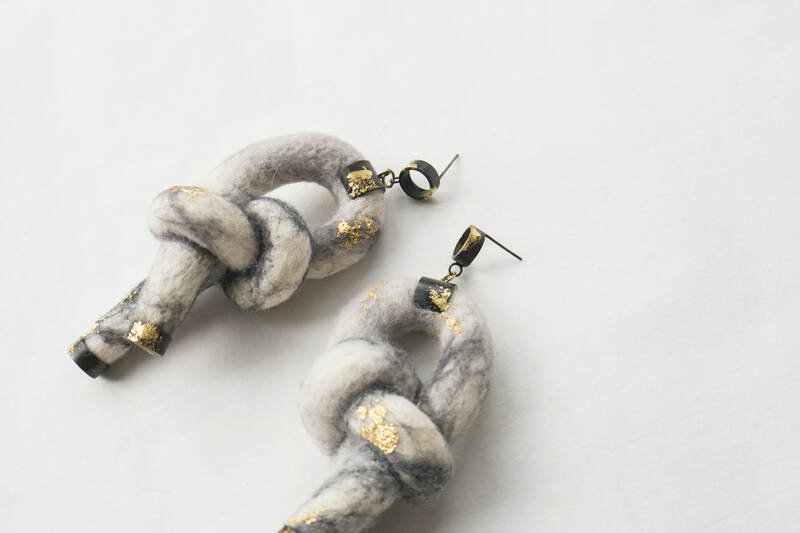 About the material, the process of felting connects wool together also allows me to create infinity loops. I chose neutral, marbled color instead of traditional bright red for the knots to emphasize the tough and strong of the combination. In order to bright up the whole series, I apply an old technique, gold leaf gilding, on the pieces. 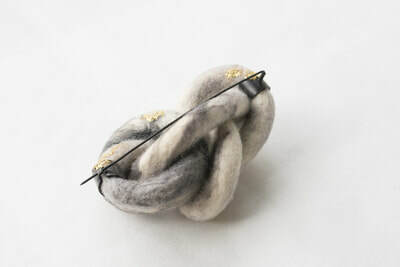 It keeps the lightness of wool also create unique textures and golden quality. 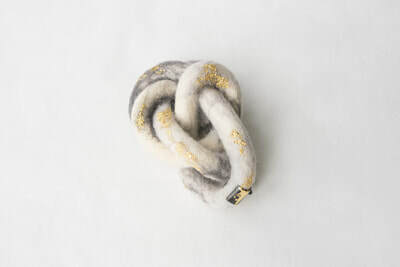 The aim of my project is to reflect the Chinese tradition of knots and transfer it into more contemporary, modern design. As the symbol of knots, the wearers also share a perceptual connection with the maker through wearing the pieces.